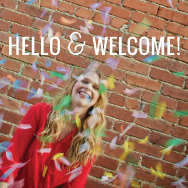 Everyone, we are ONE MONTH into summer vacation! It is just flying by over in our house, but it makes me happy to know we still have over half of summer left to enjoy. 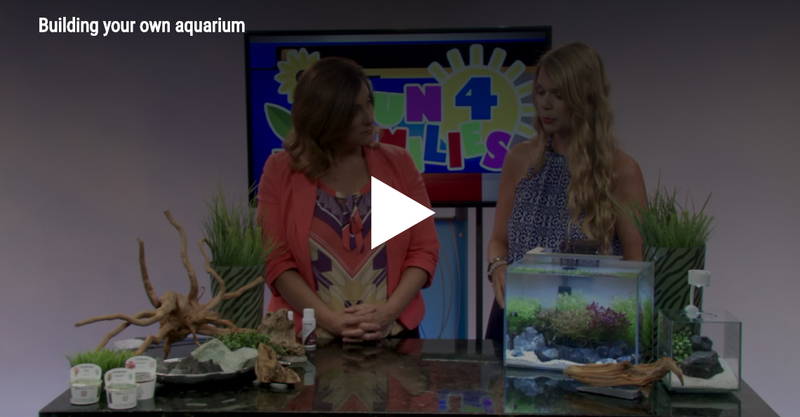 Since June is National Aquarium Month, I headed over to Fox 4 Kansas City, to share how putting together an aquarium with your kids can be a perfect summer activity. 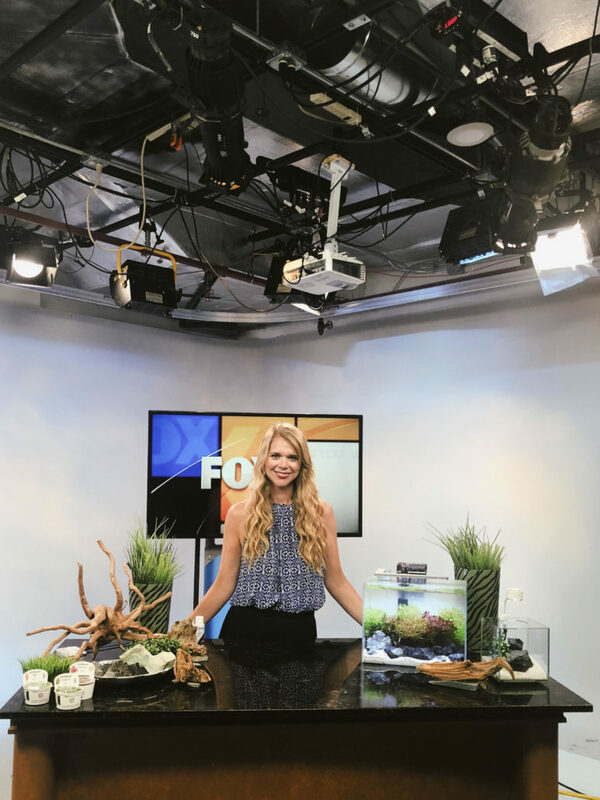 The team from Picasso Exotic Aquatics taught me the best tips for creating an aquarium and I am super excited to share them! Building one gives your children the chance to learn responsibility, critical thinking and patience. Aquariums can also be a nice escape from technology (we are dealing with a video game and tablet obsession this summer) and have soothing qualities that have helped my kids become calm, especially at bedtime. When creating an aquarium with kids, it gives them the chance to work with their hands and learn about nature. Make sure to talk with the about the science and let them really get hands on with the process. Get a test kit and cycle your aquarium. 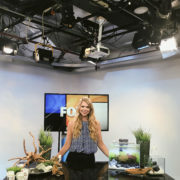 Not only is this beneficial for the health of the aquarium in the beginning, it allows your children to learn how to test water and learn about water chemistry. Use your test kit often: regular testing aids give your aquarium longevity. Let the child help Aquascape the aquarium. Aquascaping is the art of placing the stones, plants, and other decor in a natural and aesthetically pleasing manner. Allow them to be proud of the new and beautiful home they have provided for their fish. Add live plants. These feed on aquarium waste, keeping the tank cleaner and algae production to a minimum. The location of the aquarium is important — people are naturally drawn to them. You want to be able to enjoy your aquarium while also allowing others to as well. Placement can also determine the aquarium’s stability. Keep the aquarium away from direct sunlight. Those beaming, morning sun rays can grow a mass amount of algae. If you want to place the tank right near a window, it is good to keep the blinds closed when the sun shows the most. Drafts from a window can affect the aquarium’s temperature. Cool or hot air blowing onto your aquarium can cause temperature changes and more evaporation. Especially in the winter when the air is dry. Buy an aquarium thermometer to help monitor changes and a heater to warm the water to tropical temperatures. Your aquarium needs it’s own space bubble. Allow room on the sides of the aquarium so you can easily do maintenance. More room to work is motivating when maintenance needs to be done. Locate an outlet for easy access and regular cleaning. Consider putting the aquarium in a part of the home you would like to inhabit more. The aquarium may draw you and your family to occupy a room not usually visited.